Do you like macaroni and cheese? It’s one of our favorite foods and I’m always looking for new ways to prepare it. And sure, it’s just as easy to buy a boxed mix but why not make it from scratch? 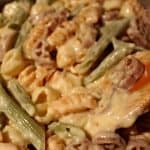 I recently tried out a twist on a favorite recipe for a four cheese macaroni and cheese on the stove. And when I say 4 cheese? I mean 4 cheese. It makes for a cheesy but not overwhelmingly cheesy dish that’s ready in less than half an hour. Serve it on the side, for a quick lunch option, or make it into a main dish by adding a protein like chicken or ground beef. Whatever you decide to do, this delicious homemade mac and cheese will be a go-to for your family as well- I’m sure. You can, of course, use other types of cheese- in fact, I would encourage you to do so. But, knowing my Squeaker the way that I do; I didn’t want to take it too over the top. One of the best ways I can do this though is to have her help me with shopping. We were at our local WalMart anyway to pick up pasta and a few other things. So we stopped by the cheese wall. And by shopping here, you can also take advantage of the limited Ibotta rebate offer. There is no expiration for this offer, but once the rebates are gone- they’re gone. 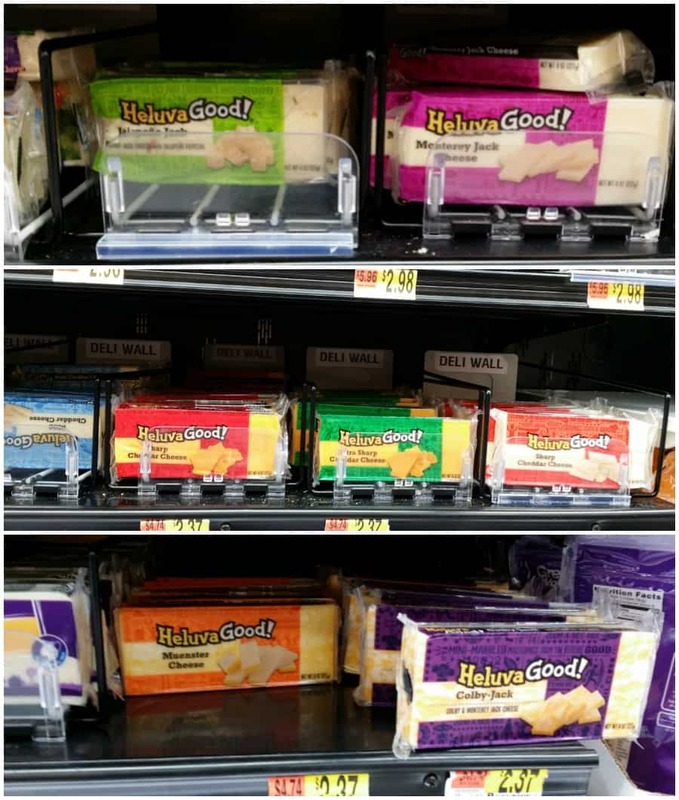 I knew that I wanted to make some homemade queso dip later, so I picked up a Heluva Good! Block Cheese in Pepper Jack and Jalapeno Jack. 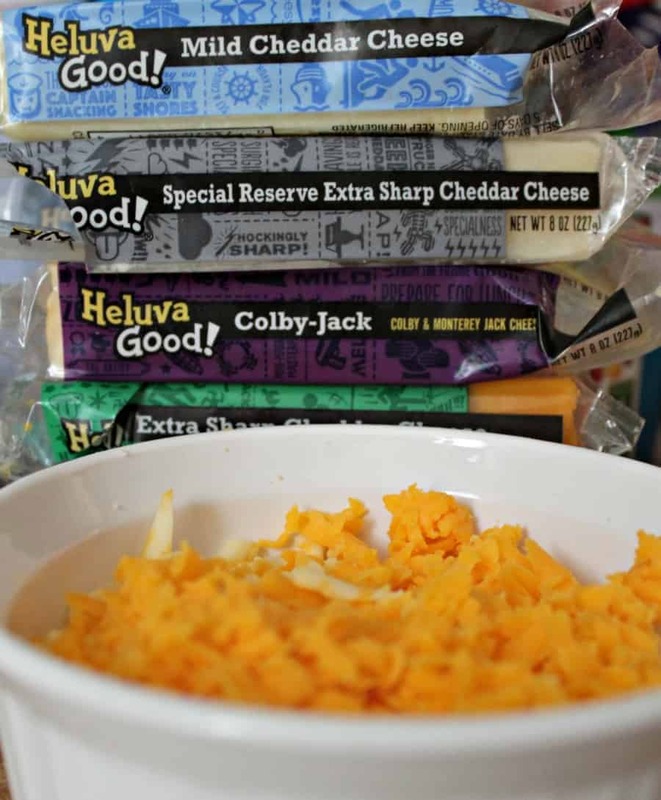 This was in addition to our choices for the macaroni and cheese: Colby Jack, White Mild Cheddar, Special Reserve Extra Sharp Cheddar, and Extra Sharp Cheddar. We also picked up a child-friendly grater so Squeaker could help me with more of the preparation. 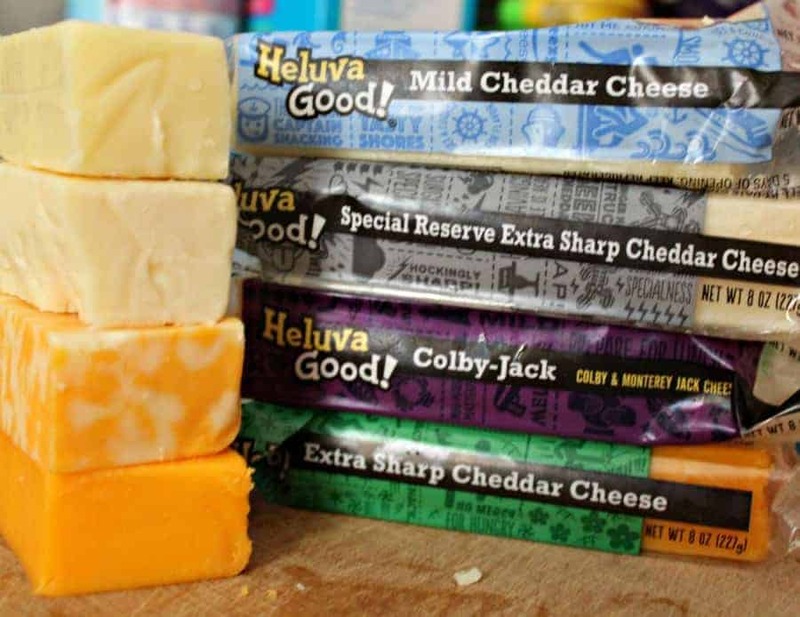 I love the fact that Heluva Good is gluten free so if I could make the entire recipe gluten free if needed. 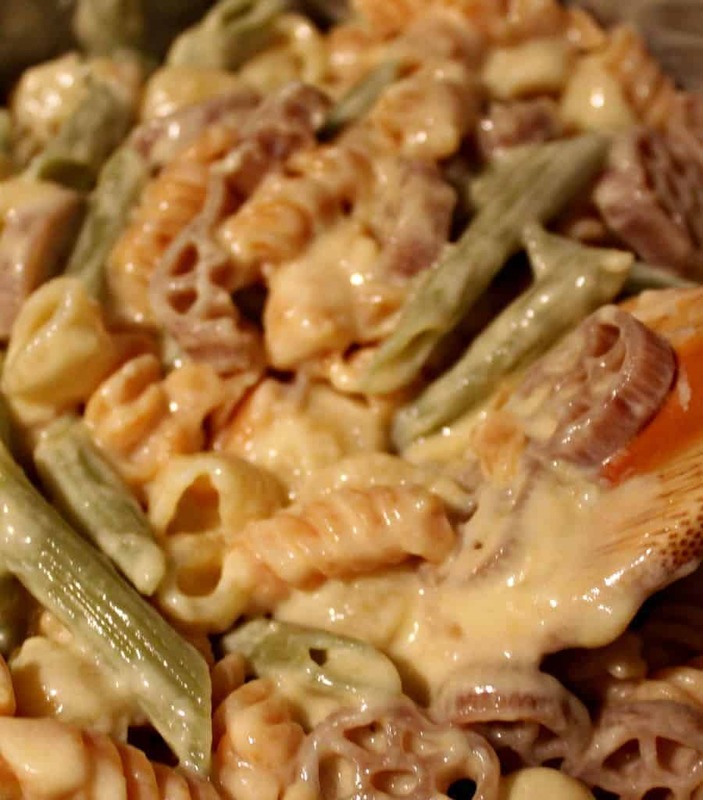 This easy homemade 4 cheese mac & cheese is made on the stove top and in under 30 minutes. Prepare pasta according to package directions and in the meantime, shred your chosen cheeses. When pasta is ready to drain, measure out the milk. If draining separately, melt the butter in the pasta pan and add the flour. Stir until well incorporated and then add milk. Add shredded cheeses. Then add salt and pepper to taste. Return the pasta to the pan and mix until coated with the cheese sauce.